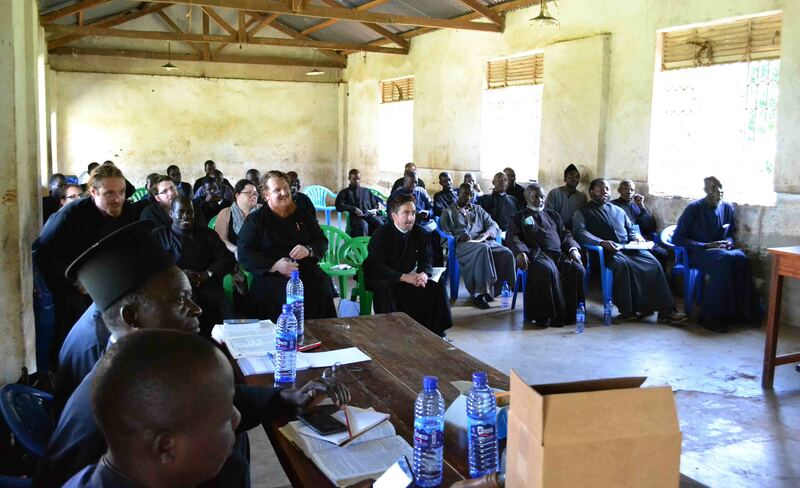 For a period of more than Twenty (20) years, the Orthodox Christian Mission Center – OCMC in its quest to “Make Disciples of all Nations”, has been delegating Mission teams to Uganda so as to assist in the work of our Lord Jesus Christ. 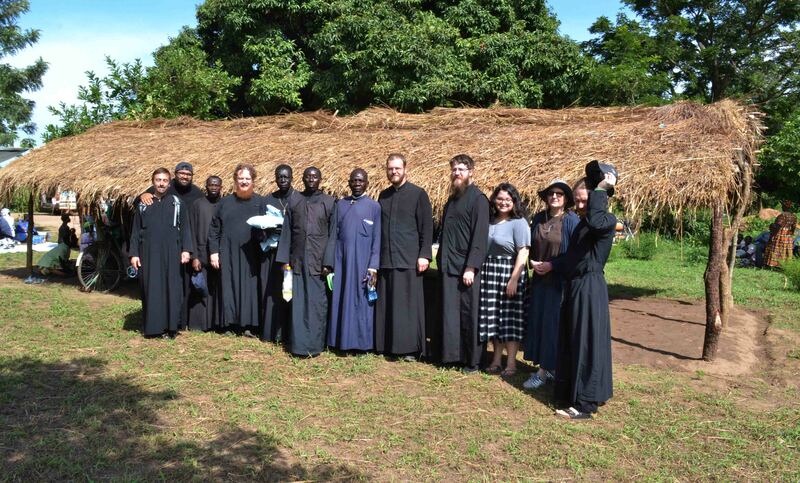 In May 2018, two teams including a group of nine (9) seminarians from the St. Vladimir’s Orthodox Seminary, U.S.A comprising of a Ugandan Seminarian pursuing his degree in theology, Dn. Menya Simon, being led by Rev. Fr. 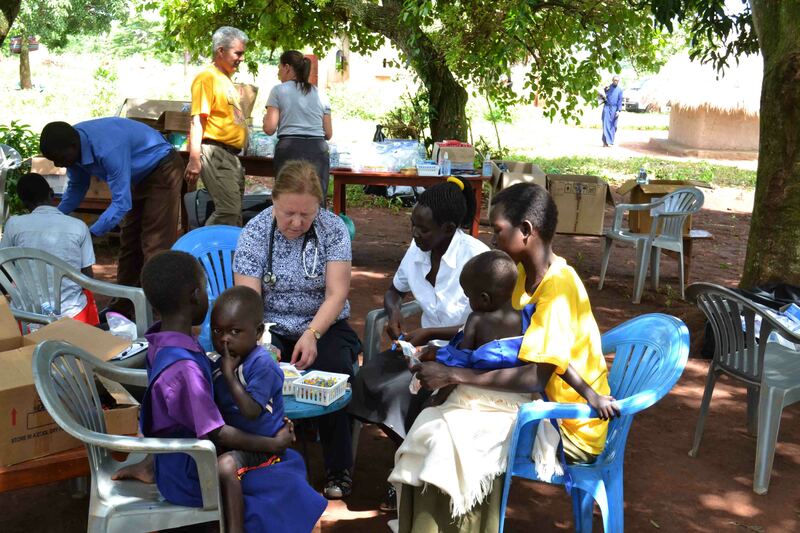 Christopher Moore, joined together with a Medical team of Seven (8) Medical personnel led by Dr. Sue Nelson under her Charity Nonprofit organization, 501c3 Lift Up Uganda and came to Uganda on a mission organized by the Orthodox Christian Mission Center – OCMC. Teaching Team Members; Rev. Fr. Christopher Moore (Team Leader), Dn. Gregory and Diaconissa Faith Potter, Dn. Larry Soper, Dn. Herman Fields, Dn. 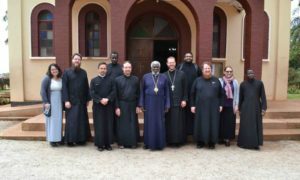 Simon Menya, Mrs. Tracy Gustilo, Seminarian Amal Punnoose Emmanuel and Seminarian Cornelius Schuster. Medical Team Members; Dr. Sue Nelson (Team Leader), Dr. Elizabeth and Martine Markouitz, Troy Hamilton, Janet and John Milosovich, Sascha Mules and Rachel Montany. 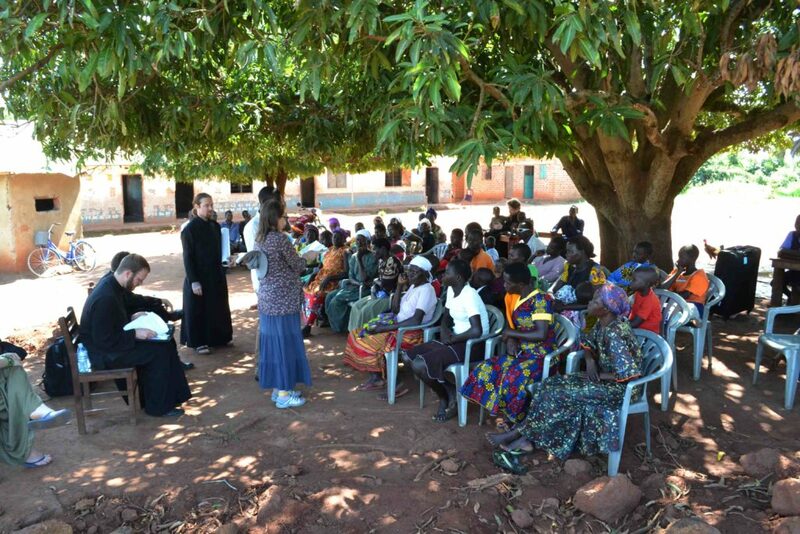 The teams were basically assigned to come and revive the spirituality in our Lord of the Orthodox communities in Northern Uganda as well as to provide Medical outreach programs to those that cannot afford decent medical services in the rural Communities. 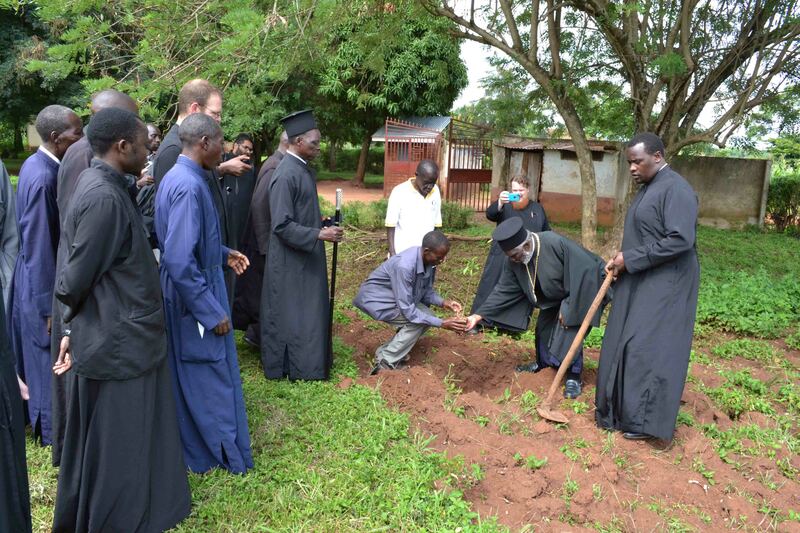 The 2 days retreat was officiated by His Eminence Metropolitan Jonah Lwanga and a lot of activities were carried and claimed notifiable impact on the lives of the clergy that participated. 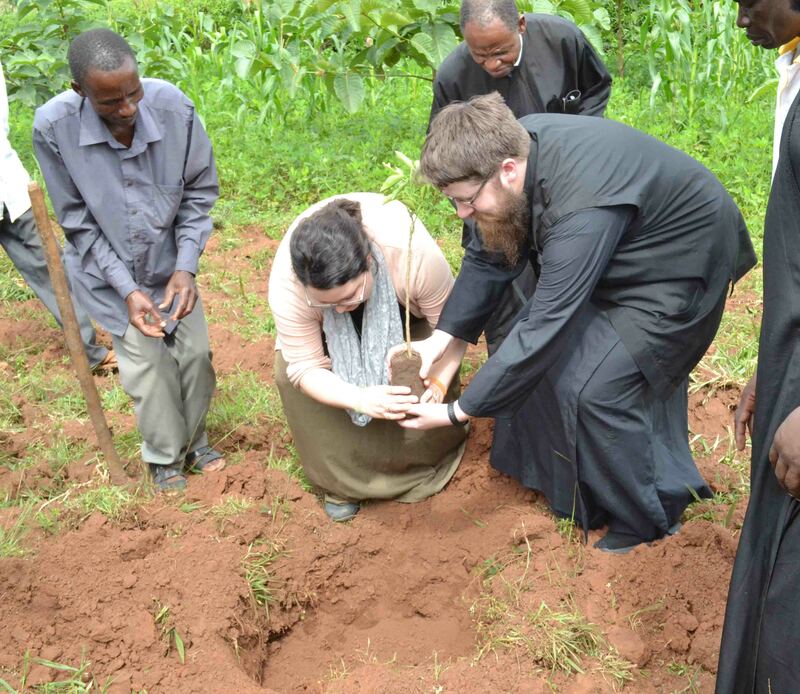 The Teaching team members and His Eminence planted fruit trees in remembrance of this fundamental retreat in reviving the spirituality of the clergy. 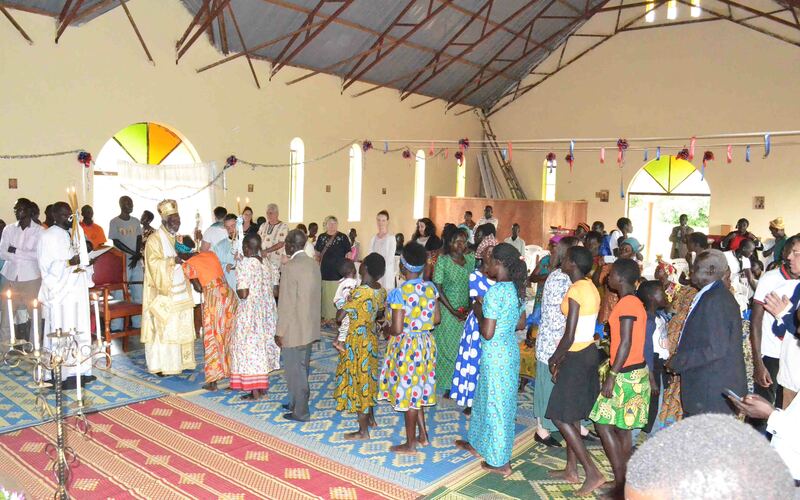 The two teams embarked on Joint work in Northern Uganda – Gulu district on the day of the Holy Pentecost (27th May) at the St. Basilios Orthodox Parish in Gulu town. 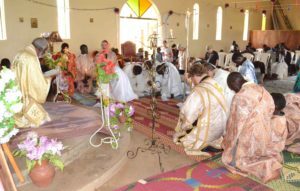 This historical Pentecost service marked the first time for Metropolitan Jonah to hold such a Service in the Northern Uganda Orthodox deanery (His Eminence always celebrates Pentecost service at St. Nicholas Cathedral in Kampala) ever since he was elected as the Metropolitan of the Holy Metropolis of Kampala and All Uganda in 1997 by the Holy Synod in Alexandria. 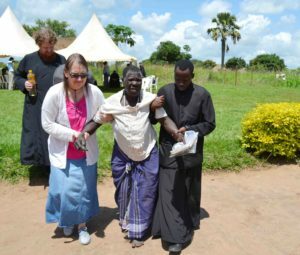 On the 28th May, the two teams had their introductory outreach program at the St. Nectarios Orthodox Community – Akonyibedo, Gulu. This center has a well-established Health Center III. The medical team attended to over 200 patients diagnosed of different illnesses and the Teaching team treated the spiritual desires of the people through constant prayer, anointing of the sick with Holy oil from Mt. Athos and as well delivering biblical readings and short drama skits aimed and reviving their hope in our Lord and savior Jesus Christ. 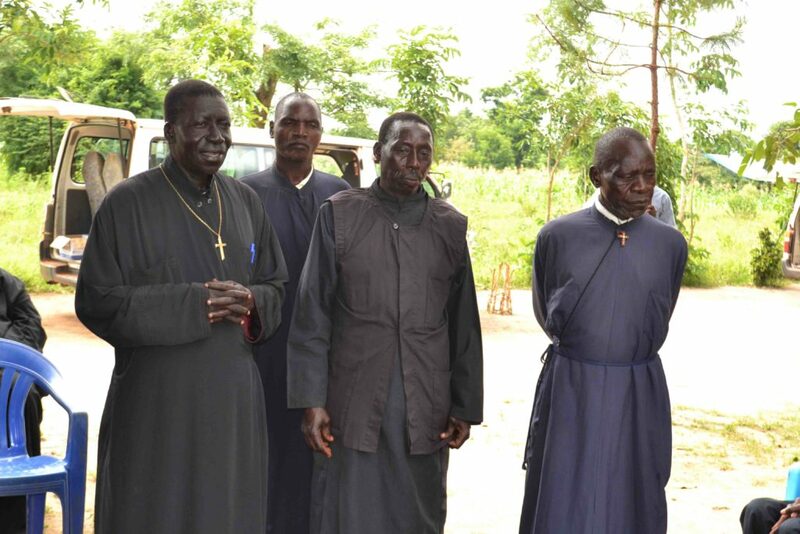 The same approach was employed on the 29th May as the teams went to Arch-Angle Michael Orthodox Parish still in Gulu. At this center the medical team found some challenges in executing their services because of the big number of patients, over 300, but with the grace of our Lord, the teams managed to accomplish their mission. It was at this point were the Teaching team donated scholastic materials to the Arch-Angel Michael Orthodox Secondary School which was constructed with funds from the International Orthodox Christian Charities – IOCC. The scholastic materials included book, Pens and others and they were raised by, Professor Martin Gilbert’s Classes, the Students at Byram Hills High School in Armonk, New York. Other items donated to this center included Liturgical items and Vestments. After 3 days of unceasing mission work in Gulu, the team embarked on a 200km drive to the Orthodox Deanery of Lira in North Eastern Uganda (Lango sub region). This Deanery is led by Rev. Fr. 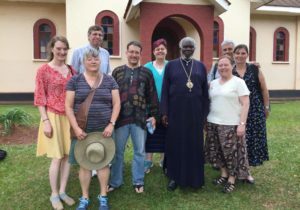 Emmanuel Oruk (Dean) and it has over 8 established Orthodox Parishes/communities and on our way to Lira town, the Teaching team had a stopover at the St. Athanasios Orthodox Parish where the first ever Orthodox Catechetical school in the Northern part of Uganda was established in 1995. 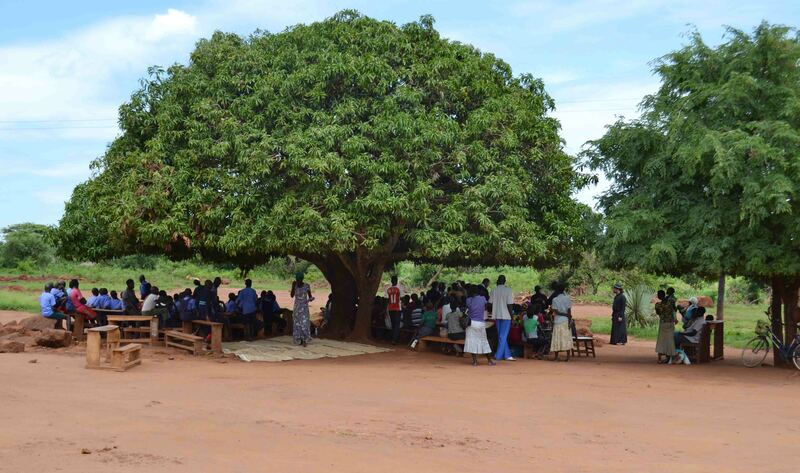 This school is responsible for educating most of the clergy in Northern Uganda including; Rev. 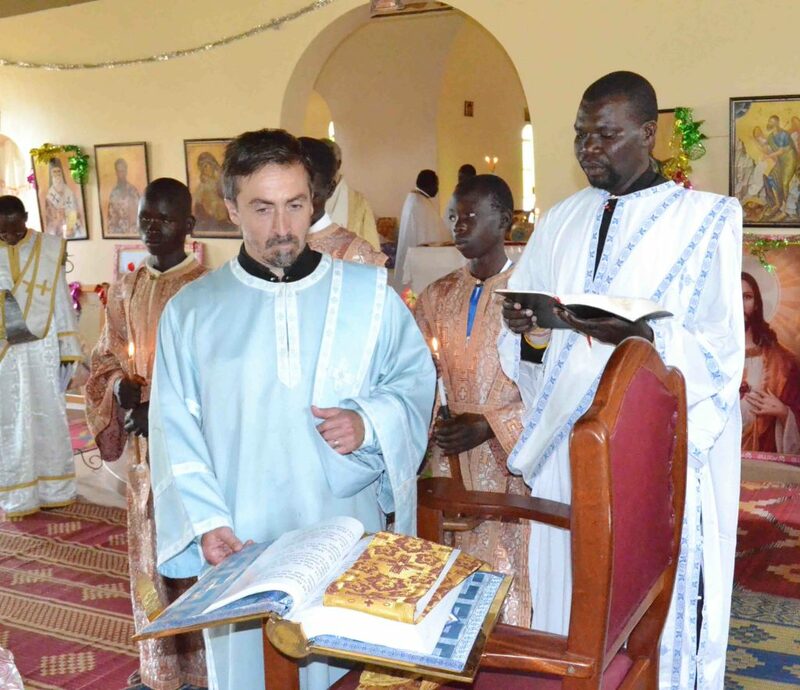 Fr Georgy Lakony, Rev. Fr. John Okello to mention but a few. The school was founded by Fr. Emmanuel on his return to Uganda from Greece after his studies. 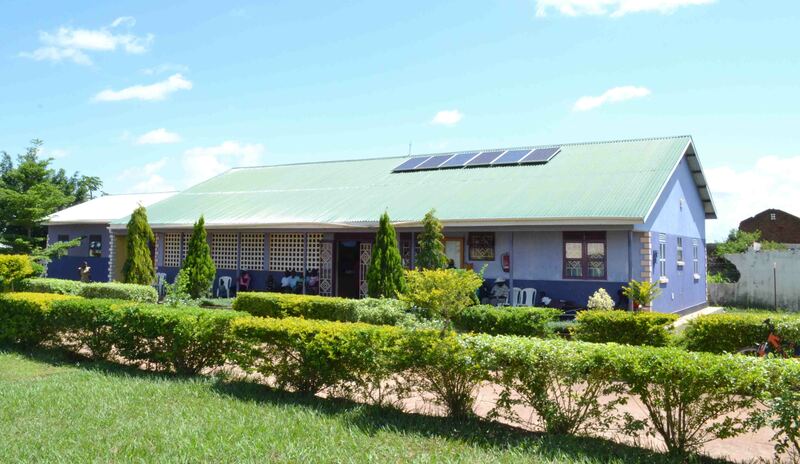 It collapsed in 2008 as a result of the war insurgence in Northern Uganda which made the area insecure to continue with its initial intended services and its continuity now is basically hindered by lack of assistance and support to keep it moving. 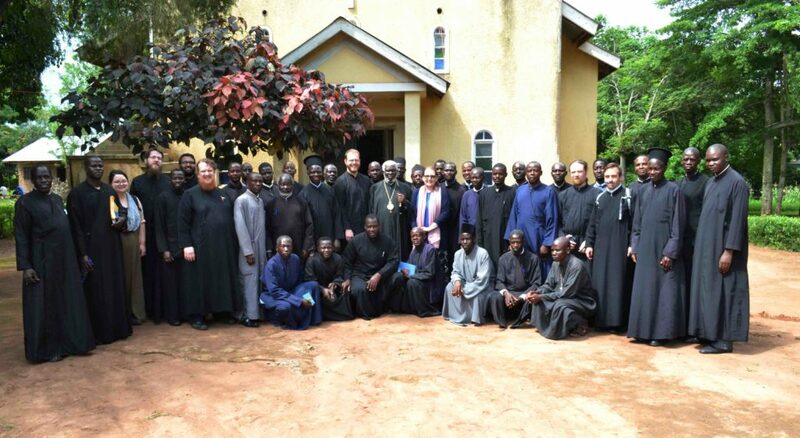 While in Lira, the team visited two Orthodox Communities including St. John Orthodox parish in Otwal Village, Oyam district were Rev. Fr. 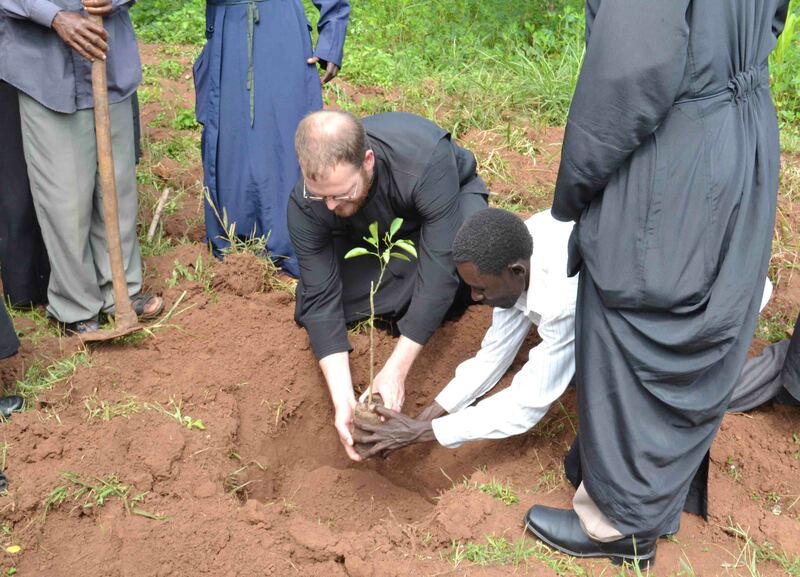 David Okwel is the Parish Priest and also visited the newly formed Orthodox Community in Dokolo district, 180 km from Lira Town. 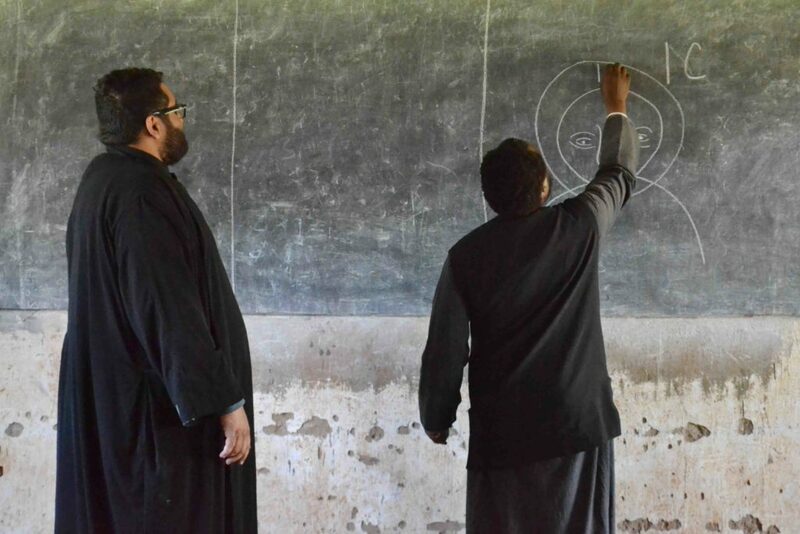 This community was established by the Dean of the region, Fr. 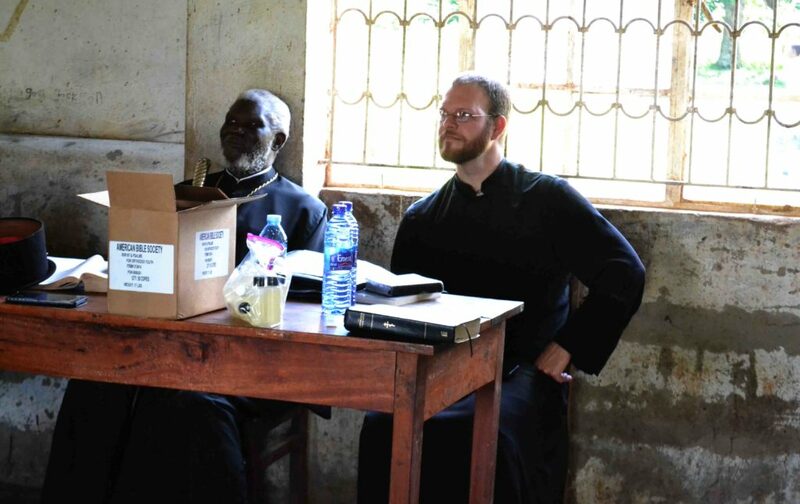 Emmanuel Oruk and Catechist Nicholas Opio maintains the spiritual growth of the faithfuls by leading them in prayers on moments when a priest is not around. 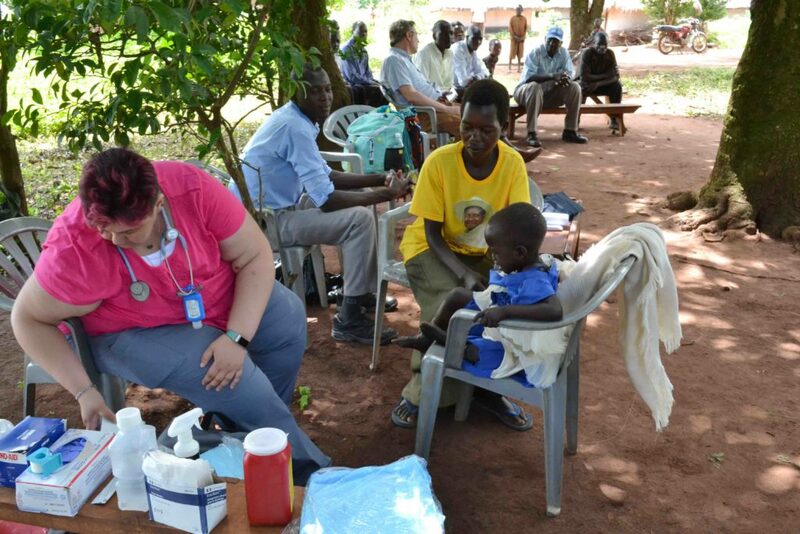 The teams were warmly welcomed in both communities and there was a lot of work to do for the Medical team due to massive number of patients that came to received free medication. 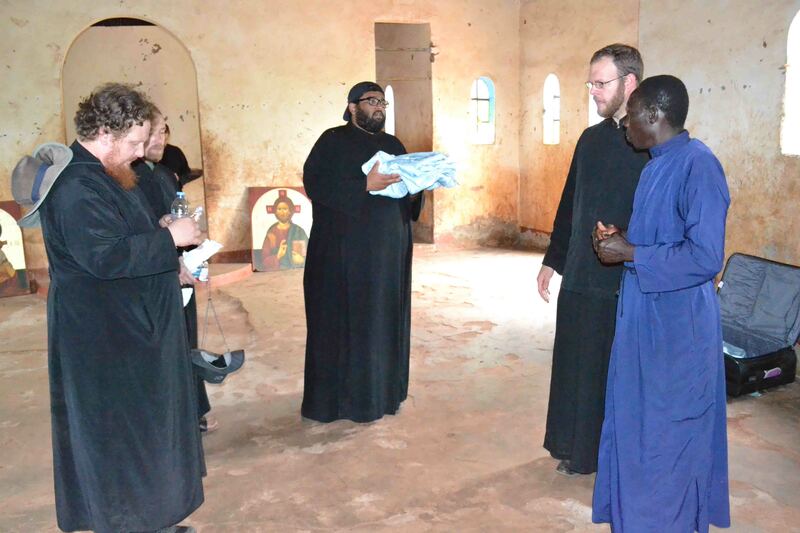 Just like in the previous communities, the Teaching team donated liturgical items, bibles and Vestments and all were from the St. Vladimir’s Orthodox Seminary. Much appreciation goes to Rev. Fr. 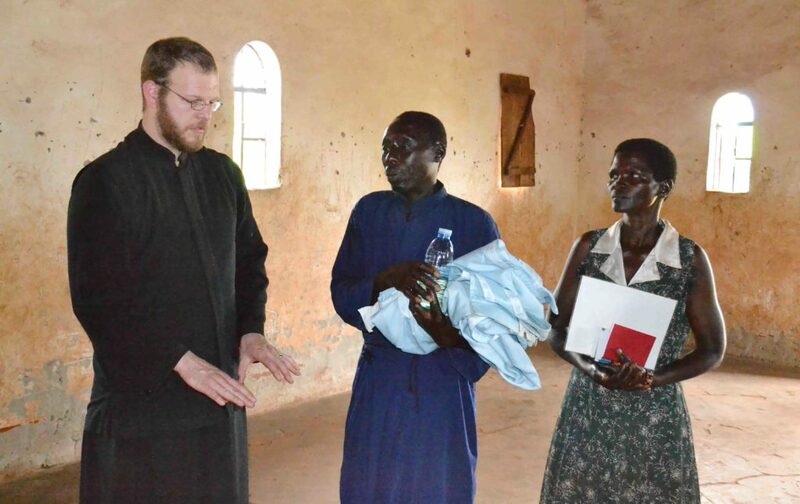 Alexander who blessed the move to donate the vestments to the communities in Uganda. 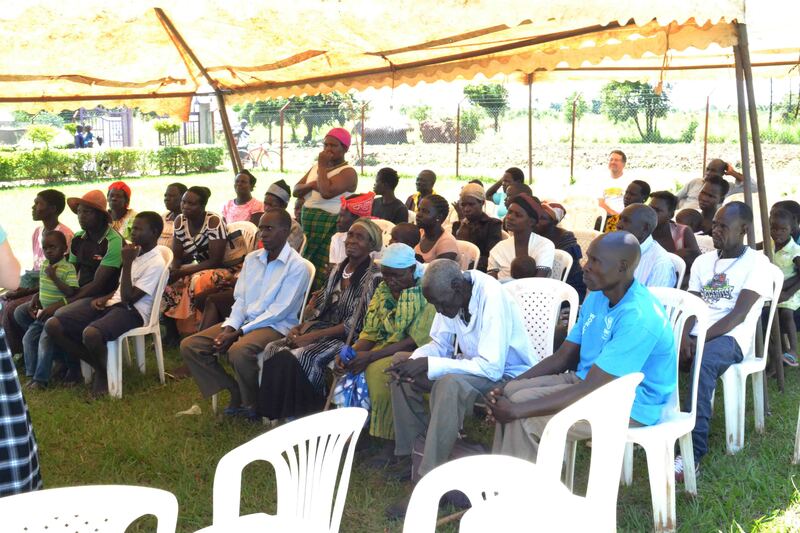 There were a lot of hardships encountered during this mission work ranging from the long distances covered, poor roads in some communities and others, but the willingness and unceasing zeal of the both teams to fulfil their intentions of coming to Uganda, the Mercy and Grace of our Lord Jesus Christ paved way for successful mission work. 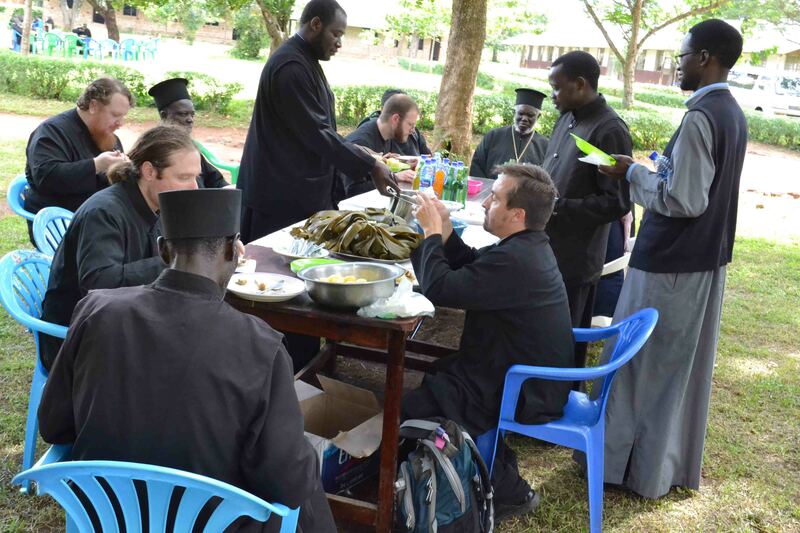 The services and activities of the teams had a great impact on the lives of the Orthodox Christians in Uganda that will last forever. ← Easter Message 2018 by His Eminence Metropolitan Elder Jonah Lwanga. 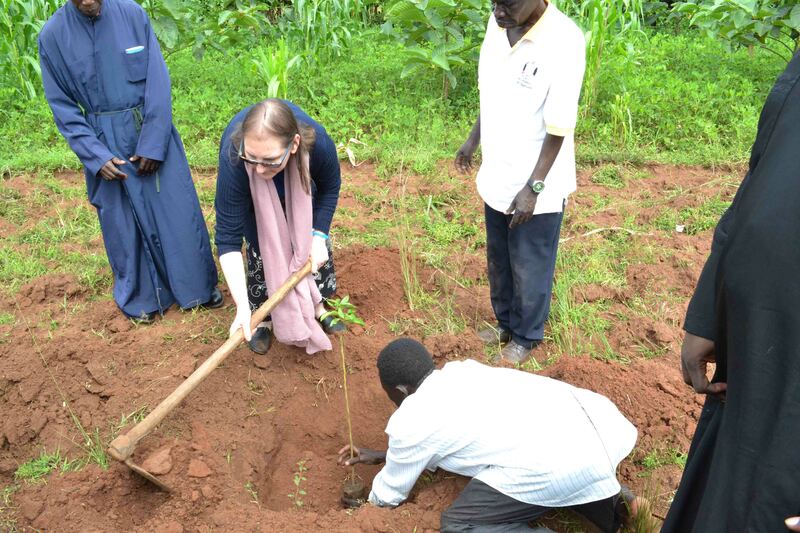 Wonderful news from Uganda! 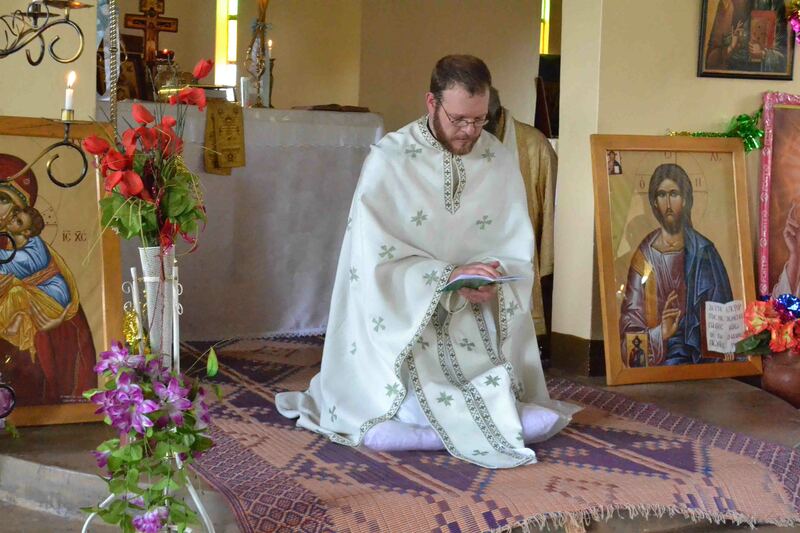 St. Vladimir’s Seminary looks forward to many years of blessed cooperation and joint-ministry. 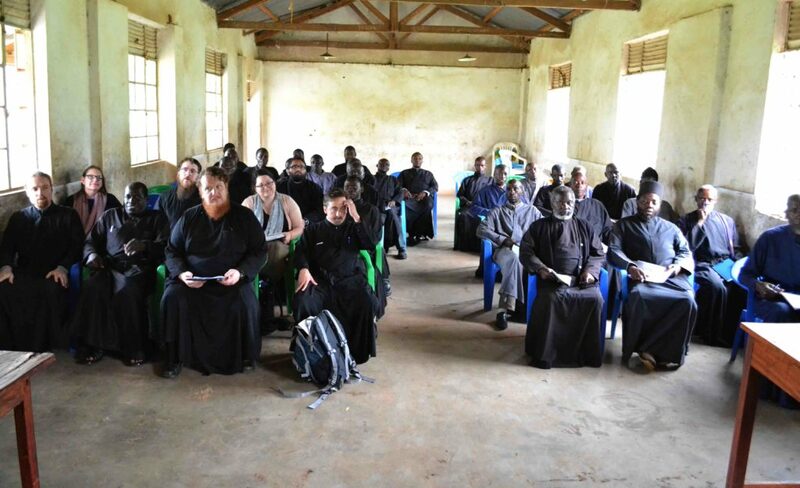 We are always appreciative for the efforts of St. Vladimir’s Seminary towards the Orthodox Mission work in Uganda. Greetings and much love from Uganda. Thank you for this very good article on the mission trip! My husband and I found it to be so enriching in many ways. We hope for more missions of this kind!